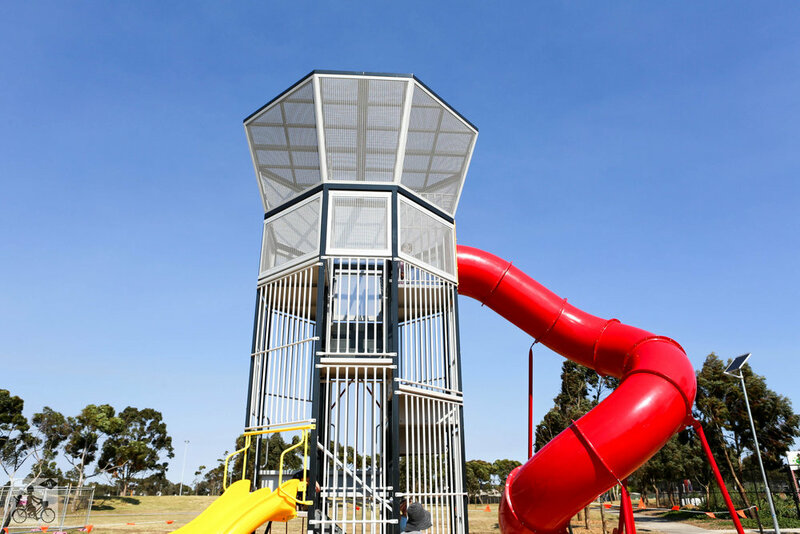 Back in late 2015 the much loved 'aeroplane' at Braybrook Park was deliberately set on fire. 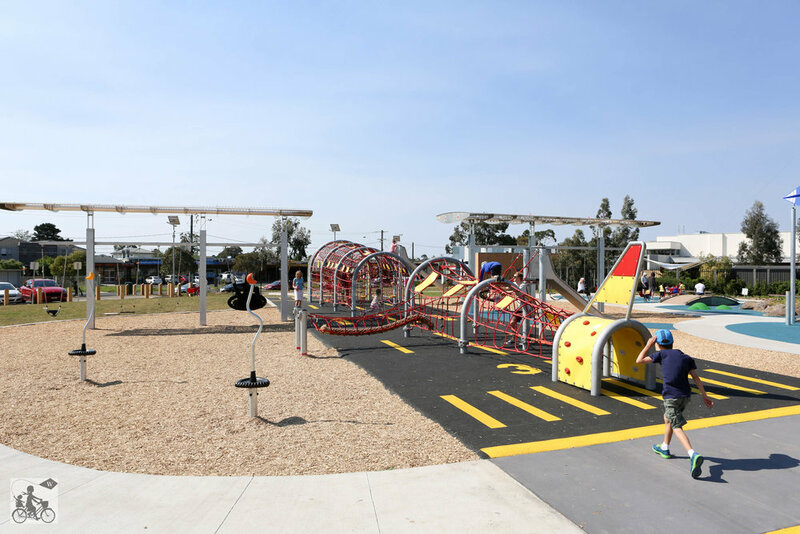 The damage to the structures was irreparable and the whole thing had to be demolished and now new park is ready and open for play! 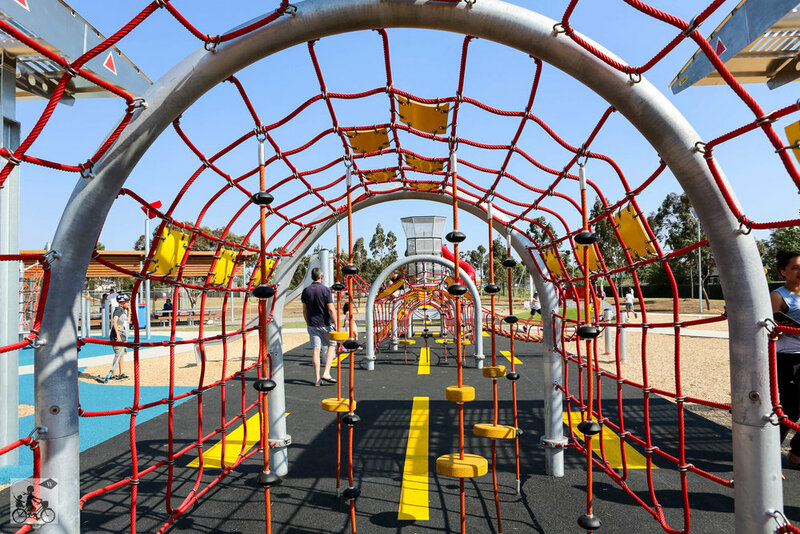 They have kept with the plane theme and reconstructed a new and modern structure for the kids to enjoy and it is fantastic! 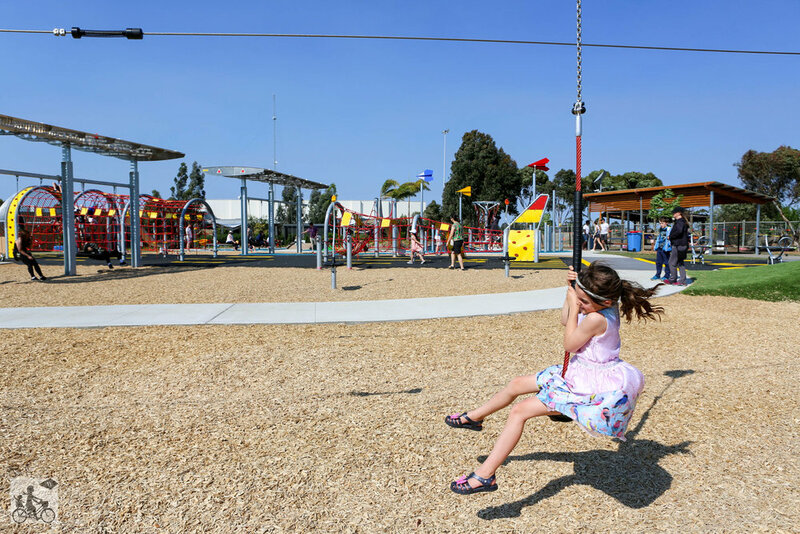 Expect to spend a bit of time here as there is heaps to do and as an added bonus the park is directly under the flight path to the airport so we spotted heaps of planes coming in to land! There are two sets of swings under the 'wings' of the plane with a rubber run way and line marking to add to the airport kind of feel. 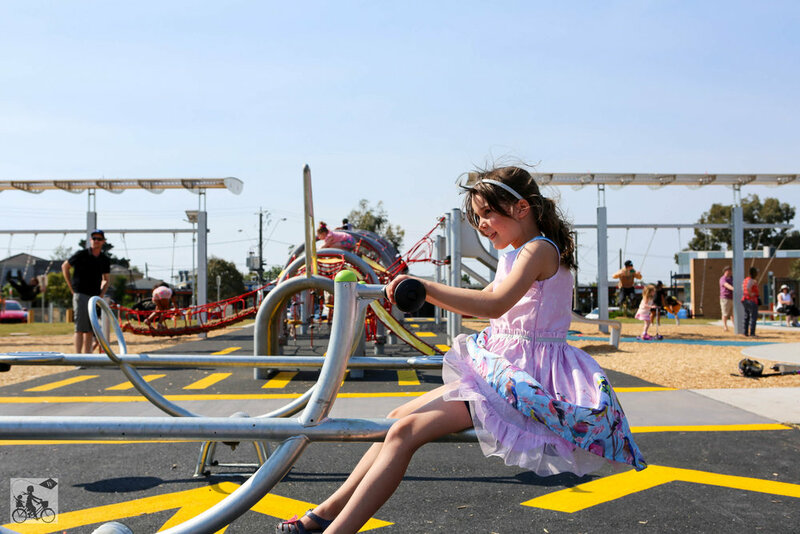 There is a little kids area complete with mini dizzy wizzy and little planes, scooter tracks and for the bigger kids there are two flying foxes, a huge control tower slide and plenty of fun features that make this a great park and well worth the visit. Mamma's special mentions: If you are up for a spot of lunch there is a great Vietnamese restaurant in Sunshine called Pho Hien that is a family fave.